Coremetrics of San Mateo, Calif., just completed a study that shows brand marketers continue to struggle to understand their return on investment (ROI) with online ad campaigns. The study underscores the need for ad technology companies to provide advertisers with clear, actionable data from which they (or their agencies) can optimize their campaigns, especially when it comes to ad placement at the domain, page and container levels. This is exactly the problem and industry issue AdXpose is aiming to solve. Find out more here and on YouTube. When it comes to making sense of the data, 68% said it was somewhat to very difficult to make sense of multiple sources of data. Forbes.com posted an insightful piece today on an emerging set of ad technology companies that are helping brands conduct their media buying more efficiently and effectively as people increasingly spend their lives online. This week, Hulett's firm unveiled an application to help advertisers track on which Web sites networks place ads, where on the actual screen the ad appears and if Web surfers pause their cursor over the ad. The tool is intended to help marketers better figure out how much of their ad spending is essentially worthless. For more information and background on AdXpose, check out last week's press coverage, press release, and demo on YouTube. At AdSpace today in San Francisco, Mpire CEO Matt Hulett participated in a panel called "10 Proven Methods to Increase Your eCPM and Generate More Revenue." Along with talking about the benefits of WidgetBucks' YieldSense as a way to increase eCPM for publishers, Matt pointed out that in early tests of AdXpose -- its new campaign verification and optimization service -- show that up to 40 percent of ads never see the light of day. This really represents wasted ad budget for online advertisers. "Never seen" can mean that the ad was recorded as an impression, but the creative was below the fold and was never viewed by the site visitor. Further, of the 300 million impressions run through early AdXpose tests, between 30% and 65% are "passed down" to the third parties vs. direct buys. This is a bit lower than the IAB/Bain Digital Pricing Research indicated in 2008 that indicated up to 80% of ads are passed down to third parties such as exchanges and ad networks. As for sizes that appear to be the most popular as it relates to being viewed by visitors seem to be 160x600, 300x600, and 300x250 creative sizes. These yield the highest creative engagement, typically because these sizes seem to have better-than-average above-the-fold placement. Interestingly, 728x90 size placements with a higher than average above-the-fold placement rate have lower creative engagement that 300x250 and the 160/300x600 creative size. We'll continue to report more findings as AdXpose campaign testing continues. To participate in our private beta program, please contact AdXpose at beta [at] adxpose [dot] com. This may be considered a very "local thing" but every vote counts, no matter its location. 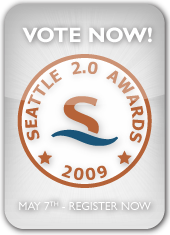 The Seattle 2.0 Awards recognizes accomplishments and exceptional people of the best of over 300 Seattle area technology startups. Voting ends April 28. Best Venture Capitalist: Bill Bryant, WidgetBucks board member and Venture Partner at Draper Fisher Jurvetson, which led Mpire's Series B funding in June 2008. Those outside of the Seattle area may not realize the amount of innovation coming from the Puget Sound region from names like Picnik, Redfin, Wetpaint, iLike, and BuddyTV. Check out a full list here. We encourage to offer up your support and vote. Here's a full list of categories -- Vote now! WidgetBucks CEO Matt Hulett is a featured contributor in Monday's edition of Adotas, one of the interactive advertising's most targeted publications. Matt delves into the world of ad optimization, where he feels there is a lot of innovation happening today despite very little other good news coming from within the sector. Matt discusses a group of optimization startups, including WidgetBucks, that are adding a tremendous layer of value between the supply and demand. These companies are still getting funding when other sectors have gone dry, and some have even been acquired recently. Check out Matt's full Adotas post here. With Twitter currently experiencing explosive growth and visibility, WidgetBucks CEO Matt Hulett takes a look at why it would make some sense for Amazon to buy Twitter. Check out his blog on AlwaysOn's VC & Money section -- a good read. 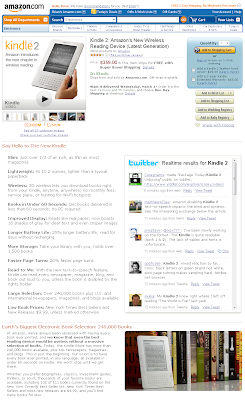 If you're having a hard time visualizing it, below is a mock up of what might look like if Amazon were to integrate Twitter into its listing pages. Eric Engleman of Seattle's TechFlash also wrote about this today as well. Speaking of Twitter, check out this like-gold add-on that makes your Google searches real-time with Twitter. Do you use Twitter? If so, start following WidgetBucks here. I wanted to jump on the WidgetBucks' blog this morning and share with everyone that Michael Vernon has joined our Board of Directors. For those of you who know about Michael, this is a real coup for us here at WidgetBucks. For those of you who don't, Michael was the former CFO at aQuantive (acquired by Microsoft in 2007 for $6B -- yes, with a B) so he knows online advertising technology, knows how to inject ‘big thinking’ into an emerging company like ours, and he's a fantastic complement to our existing experienced Board and management team. His background includes being responsible for financially guiding aQuantive to profitability and a multi-billion dollar market cap before the Microsoft acquisition. He joins WidgetBucks' Board at an important time, as we hit our second full year of rapid growth after seeing ad impression volume grew by 150 percent over the course of 2008. 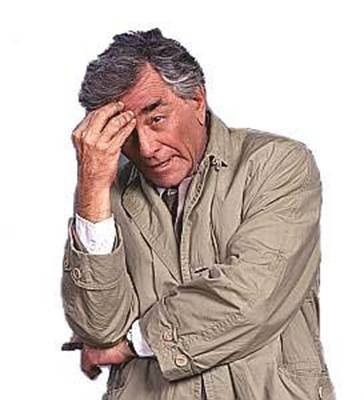 We've added a lot of industry experience lately. Michael is the third industry veteran to join WidgetBucks’ management team and/or Board in the last several months: Chief Revenue Officer Kirby Winfield joined in August, while Chief Financial Officer Jeff Bergstrom came on board in October. Combined, the two chief officers represent over $3 billion in shareholder value from past acquisitions. Having recently spent a week in Las Vegas enjoying Affiliate Summit West, I had an interesting conversation that I thought might benefit some of our own publishers. It’s about the importance of “e” in eCPM. Most people that do any advertising are pretty familiar with what CPM, CPA, and CPC stand for. And I’m sure there will be a host of people which will defend the benefits of each one for being the best way to make money online. Fortunately when you enter the world of “eCPM” it doesn’t matter because at the end of the day it IS all about eCPM. 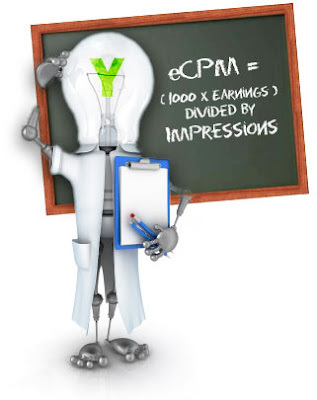 eCPM is really “effective CPM.” It means if you took all the revenue you made from CPM, CPA, and CPC advertising and adding them together to determine how much you are truly getting paid per 1000 visitors to your site. When evaluating any mix of advertising it’s always best to calculate your eCPM. I see CPA offers that garner $100 on a lead, while others $0.50. And while one may look more impressive than the other, it depends on how well it’s converting to determine which has a higher eCPM. At WidgetBucks the same math applies since we mix both CPM advertising and CPC advertising. Since you’re able to earn revenue both in the volume of impressions as well as how many click through on the Shopping, Local, or Travel widgets, we boil everything together as your eCPM value. It is because of this performance companent that placement of widgets becomes essential to optimize your site visitors to earn you the most money. A widget placed in the footer of your site might receive a lot of impressions, however due to the placement will probably not have great CTR to lift the eCPM. Thus when trying to evaluate the performance of your widgets, spend a moment to look at the Widget Detail tab and compare how your widget is performing both in CPM and CPC revenue and determine if changes should be made on placement or styles. Put the “e” back into CPM by letting WidgetBucks be more effective for you. Exchanges will start to weed out arbitrage: Much like Google, exchanges will weed out those who thrive on inefficiencies. Much like Google, exchanges want to make more money and squeezing arbitrageurs is a logical next step once you’ve carved out share. Remnant display networks won’t die: Despite popular belief, networks representing remnant inventory will not go away but they will evolve. We think they will focus on performance based sales. Again it will all be about ROI. Targeting won't just be a media sales person’s byword any longer: Real integrated behavioral targeting/affinity/demo/channel targeting will bolster movement of offline ad dollars online. What changes in online advertising do you think will happen in 2009?